There is an easy way to insert those crazy looking characters that are not present on an English keyboard into a Google Doc. I can see this being especially beneficial to World Language teachers. To insert the special character you simply draw it! 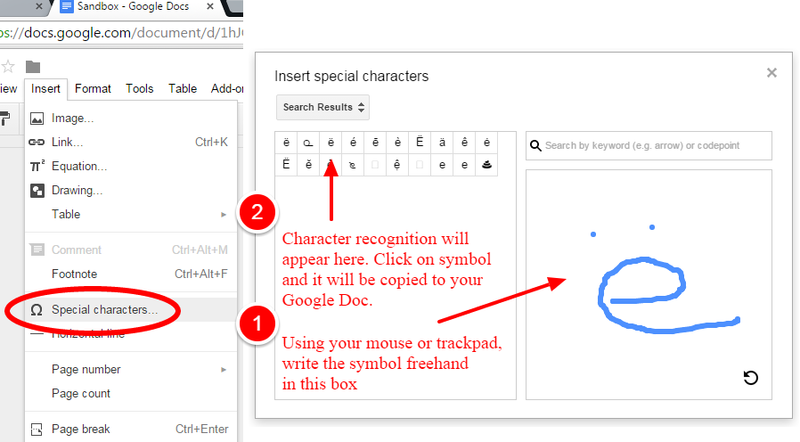 Click Insert --> Special characters... and draw the character in the box using your mouse or trackpad.